Talk about a match made in Hollywood heaven! 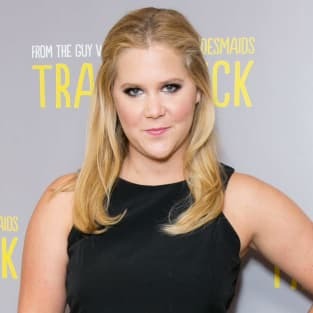 Blonde bombshells (and new BFFs) Amy Schumer (Trainwreck) and Jennifer Lawrence (The Hunger Games saga) are co-writing a screenplay for a comedy film in which the two will portray sisters. While this isn't by any means Schumer's first foray into the screenwriting biz, this joint effort marks Lawrence's behind-the-scenes debut. Both have proven time and again that they're two hilarious women (both on- and off-screen) so I have high hopes that this upcoming movie will be one for the books! We don't blame the 25-year-old mega-star for breaking the news so early into the project's development -- we're pretty excited too, JLaw! Caralynn Lippo is a staff writer for Movie Fanatic. Follow her on Twitter.